Tractor-trailers are extremely dangerous, and people should only operate one if they know how to use it. In one tragic case in Illinois, a 12-year-old boy lost his life as a passenger inside a tractor-trailer when it overturned after going off the road. 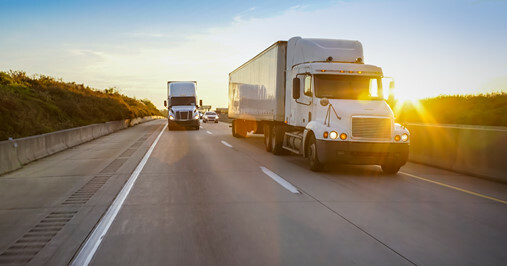 A significant number of tractor-trailer accidents occur every year that impact the driver, passengers and others. Everyone on the road needs to remain vigilant of tractor-trailers when driving alongside the vehicles. Tractor-trailers can weigh up to 40 tons. Most standard automobiles only weigh 5,000 pounds, so a collision between the two types of vehicles results in more damage to the standard sedan. Due to this immense weight, it takes tractor-trailers more time to come to a complete stop in case traffic up ahead slows down, which is why tractor-trailer drivers need to be fully aware at all times behind the wheel. Additionally, cars ahead of tractor-trailers need to be aware of what is behind them. Since the tractor-trailer will not stop as quickly, you do not want to suddenly slam on your brakes because the vehicle behind you could rear-end you. You should remain vigilant in case a tractor-trailer is tailgating you and try to get away from the potentially dangerous situation. Tractor-trailers have much more force under the hood than average sedans. This type of vehicle can have between 400 and 600 horsepower, while a regular car typically has about 100 to 200 horsepower. This is another reason why drivers on the road need to keep their distance from tractor-trailers. Greater force can result in more damage compared to accidents between two sedans. In general, when drivers see tractor-trailers on the road, it is best to stay back or try to pass them so that you are in less danger.